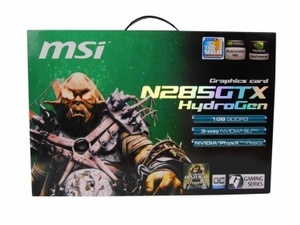 MSI are definitely in the game when it comes to graphics cards and motherboards. What's most impressive about its graphics cards though is the fact it's not afraid to rip that stock cooler off and try something different. Its Hybrid Freezer coolers were great for keeping noise levels down with the fan actually stopping while a system is idle and if temperatures are low enough. The fan would then gently spin up whilst gaming and provided impressive cooling too. 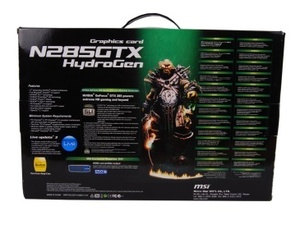 We've come accross the HydroGen range before when we looked at the MSI GeForce GTX 280 OC HydroGen in comparison to a BFG GeForce GTX 280 H₂OC. 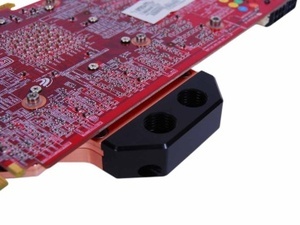 The former used a Heatkiller full cover waterblock from German manufacturer Watercool, which cooled the core, RAM and VRMs on the core side of the PCB. 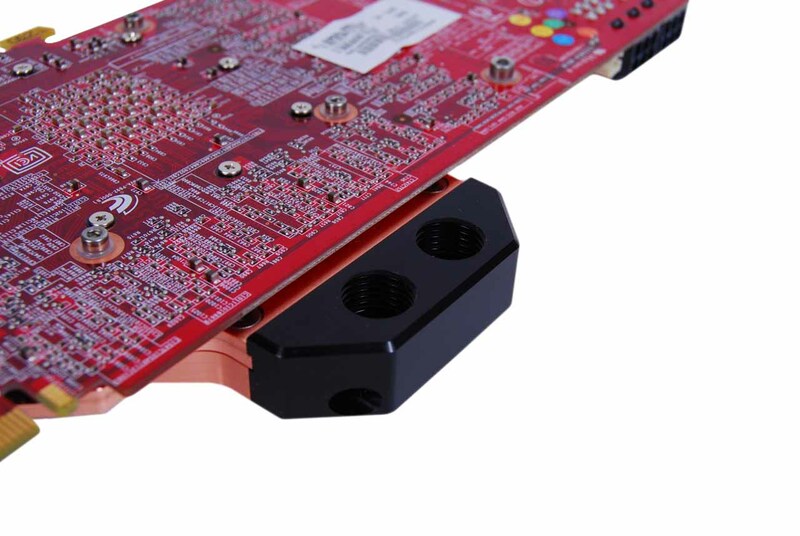 Our findings were that the Heatkiller block provided great cooling at a cost of flow rate thanks to increased pressure as the internals proved to be quite impinging. You will of course need your own water-cooling kit to bolt it into, but the GTX 285 HydroGen OC can easily be added to an existing loop, whatever size tubing you're using. Watercool is back with MSI's latest foray into water-cooling its wares, with the latest Heatkiller GPU-X² full cover block strapped to MSI's GTX 285 HydroGen OC graphics card. 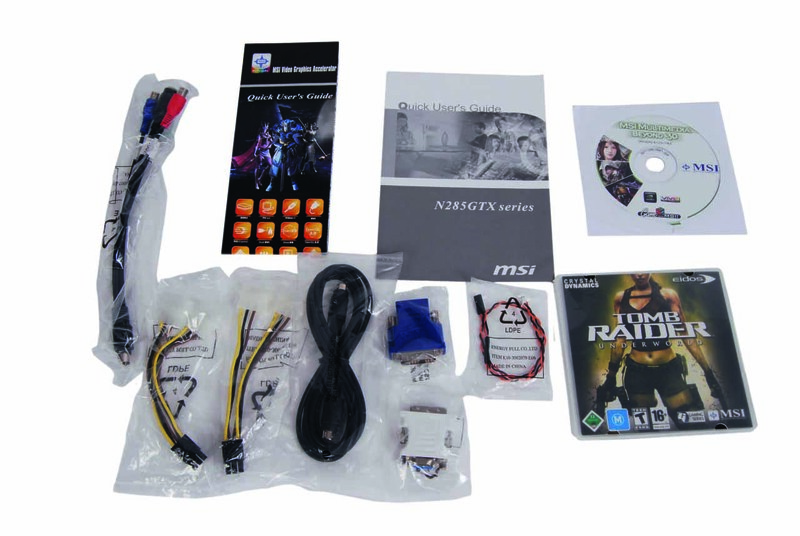 It's a similar package to what we saw last time as pictured below, including a DVI to HDMI adapter, two molex to 6-pin PCI-E power connectors and a copy of Tomb Raider: Underworld worthy of note. 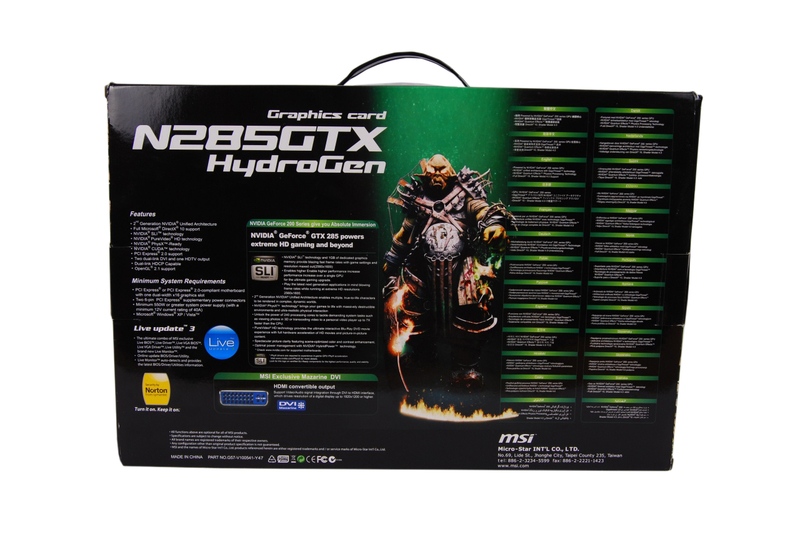 Unfortunately we had to fish around for our own barbs as the GTX 285 HydroGen OC doesn't include any. The threads are G1/4" so are compatible with a vast majority of barbs out there, but still, it wouldn't hurt to include some for 1/2"ID tubing seeing as this, and 7/16" ID which also fits, are by far the more popular choices at the moment. 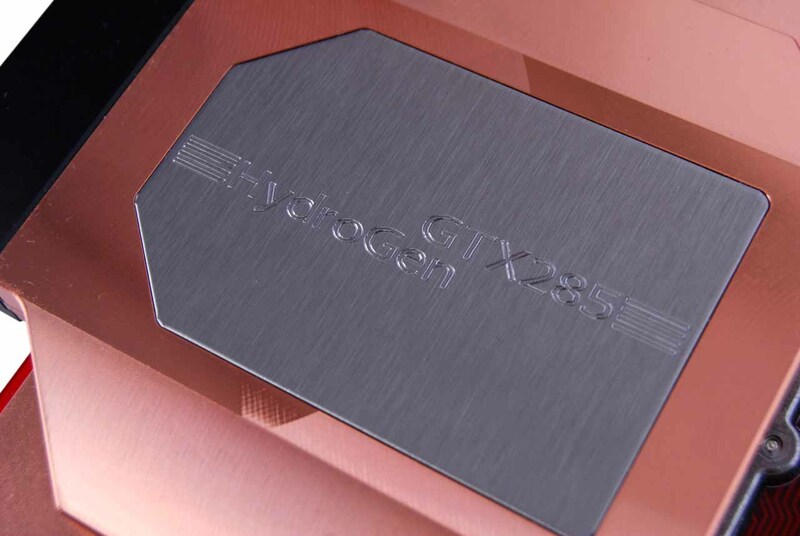 The clock speeds have of course been overclocked with the core being boosted from 648MHz to 702MHz and the memory clock from 1,242MHz (2.484GHz effective) to 1,300MHz (2.6GHz effective). The shader clock however hasn't been touched and remains at 1,476MHz which might mean results aren't much improved over a stock GTX 285. 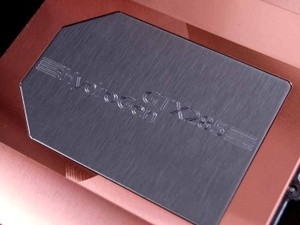 The great thing about water-cooling though is that the extra heat generated from overclocking a graphics card is dealt with quickly and quietly with modern water-cooling hardware, such as the Swiftech parts in our test kit. There's no noisy fan spinning up during games either and it's usually very interesting seeing how much further we can push water-cooled graphics cards, even if they're pre-overclocked. 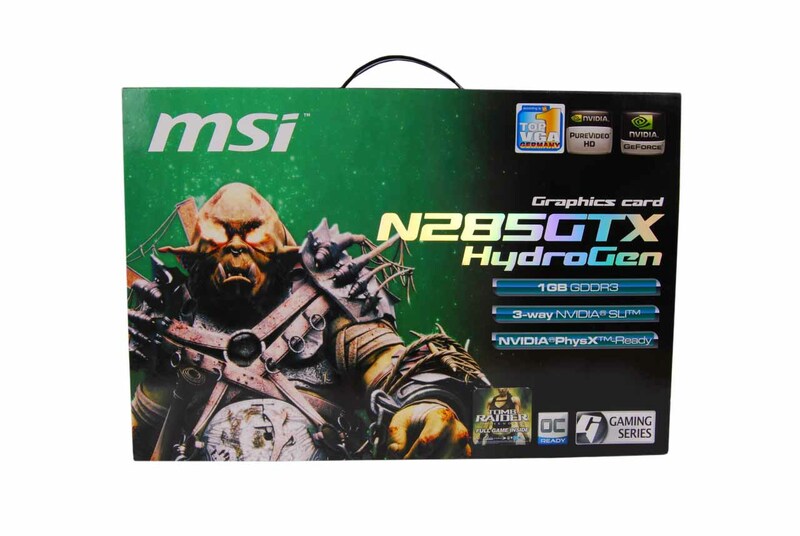 More on that later, but the question as always is how much the MSI GTX 285 HydroGen OC goes to justifying its hefty £389 price tag: that's roughly £100 more than an air cooled pre-overclocked GTX 285!